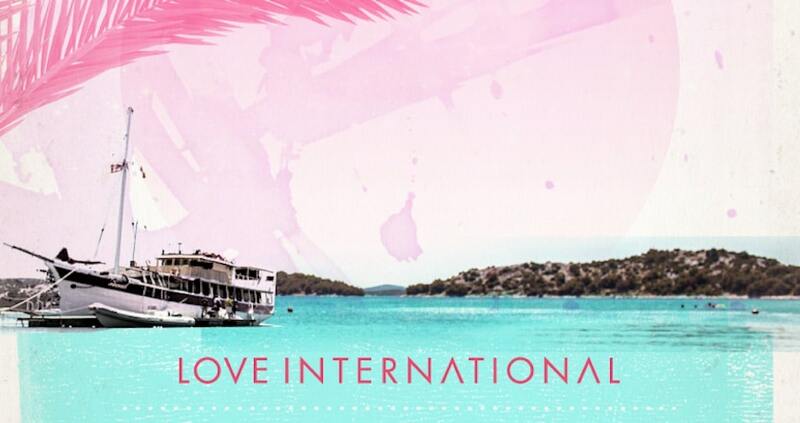 This summer, Croatia’s Love International began a brand new Adriatic odyssey, which for one magical week on the stunning Dalmatian coastline, following on from The Garden Festival, was a gloriously sublime week which captured the imaginations of all who came. 2,500 music and adventure lovers from across the world converged for a mercurial week of inspiration, escapism and discovery, as well as a healthy respect for each other and a wider awareness of the world surrounding this little place of paradise. 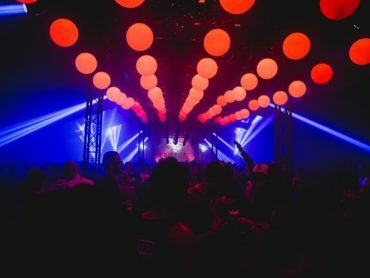 Against a backdrop of political instability and turmoil, never had the sense of escapism and unity felt so apt at Love International, which is returning for its second season next year from Weds June 28th – Weds July 5th, and the first wave of names has just been revealed, including many amazing debutants. The Black Madonna segues from disco to techno with her inimitable energy, an infectious joy and a peerless ability to connect with the room; she is arguably the red-hottest name of 2016, and makes her Love International debut next summer. And speaking of red hot, Detroit spinner Palms Trax joins her, along with Optimo, the DJ duo of Twitch and Jonnie Wilkes whose legendary Optimo night mixes up techno, electro, rock and more, plus Paranoid London’s distinctively eclectic yet visceral house music joins the party. And Jazzanova are the revered eclectic collective from Berlin, creating magic in clubs, on the airwaves and live on stage, with their label Sonar Kollektiv one of Europe’s most respected. There are more Love International debuts to savour: Leon Vynehall’s releases on 3024, Rush Hour and Running Back infused with house, techno, disco, funk, hip-hop and soul have continued to win many accolades, and Mood II Swing bring plenty of house action. Tim Sweeney’s weekly Beats in Space inspires listeners from across the world, and from the thriving West Coast, Honey Soundsystem is the San Francisco DJ crew made up of Jason Kendig, Jacob Sperber aka Jackie House, Josh Cheon, and Robot Yang aka Beziér, a collective of party pioneers from the city’s ebullient gay scene. 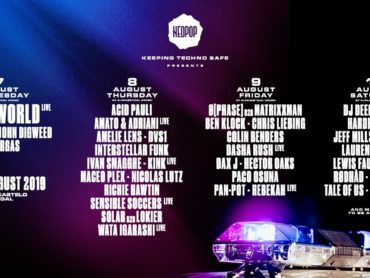 Old school Chicagoan classic disciple Honey Dijon take in house, disco, tech-house to tribal, funk, and soul, whilst revered spinner and producer DJ Nature brings decades of acumen to the festival, and Call Super’s hypnotic intensity and musical breadth, captured in his standout album, Suzi Ecto, brings another new dynamic. Love International and Tisno’s long-standing friends Ben UFO and Craig Richards – who last year played back to back in Barbarella’s for one of the festival’s many incredible highlights – both return, as do celebrated house and disco kings Horse Meat Disco. One of the enduring icons of the UK house music scene, Felix Dickinson, is an integral part of Team Love, and one half of the legendary duo Rub and Tug, Eric Duncan, is also a key member of the crew. Excellent support comes from Begin, Gideon and Linkwood. Curated by Team Love’s Dave Harvey and Tom Paine, the region’s newest festival features bookings from across the underground spectrum performing day and night. 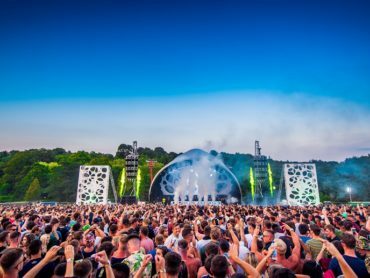 From the Main Stage, Beach Stage, Olive Grove and brand new sunrise sessions, to countless boat parties on the glittering waters of the Adriatic and spectacular parties at Barbarella’s, the fully outdoor club which is now regarding as one of the best places in the world to party at until dawn. The Olive Grove has really came into its own, a beautifully decorated space which showcases some brilliant artists, labels and clubs nights, And then to dawn, with the Sun Rise Sessions offering either the perfect chilled way to end a night out, or to herald the start of a new day under the pine trees by the sea. “It doesn’t seem so long ago we were all in Tisno partying under the sun and stars, and now we are looking fully ahead for 2017 and the next Love International! It really was a fantastic start for us – we wanted to bring our own identity here but also to carry on the ethos of The Garden Festival too, and retaining that magic and then adding more of our own created something really special from start to finish. Harnessing a unique sense of intimacy and inspiration, Love International is set in the picture-postcard town of Tisno, surrounded by verdant pine forests and the glittering waters of the Adriatic Sea, hidden away with its own secluded beach and bay. By day a beatific chill-out under the sizzling sun, then as the evenings gather pace the stars come out and the enchanting site transforms; as night closes in it becomes a pulsating festival which looks out across the sea. The festival draws music lovers and adventure seekers from across the world to Croatia for a mesmerising holiday and festival odyssey. Cr2 records commemorates Space, Ibiza with the official second part of a 3 CD mix and download compilation.